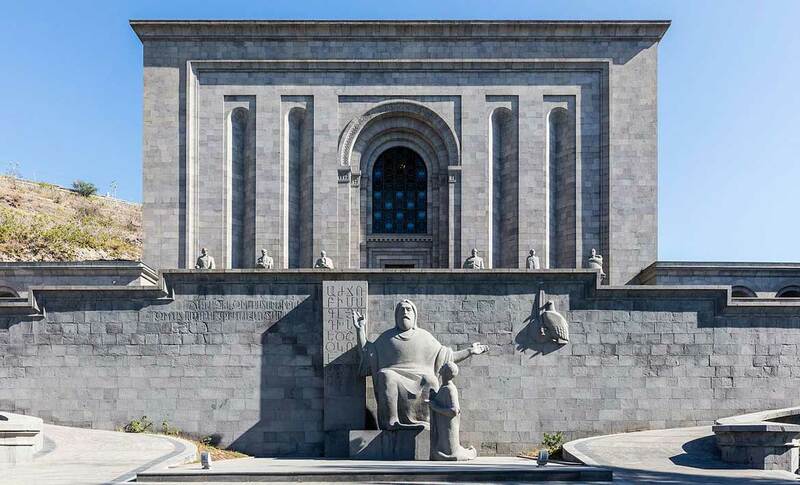 On the northern part of Mashtots avenue there is Matenadaran (a book depository), one of the world’s most ancient libraries. Its collections comprise ancient Armenian books and miniature paintings that have gained worldwide fame. Among its unique treasures are the works of ancient classical authors and rare manuscripts that have come to our days only in the Armenian translation. Several monuments to the outstanding Armenian cultural are located in the courtyard of Matenadaran.